High above Upper Beaver Meadows on the east side of Rocky Mountain National Park, one of the most dramatic sunrises I've been fortunate enough to photograph shapes up over the Longs Peak and the Continental Divide. 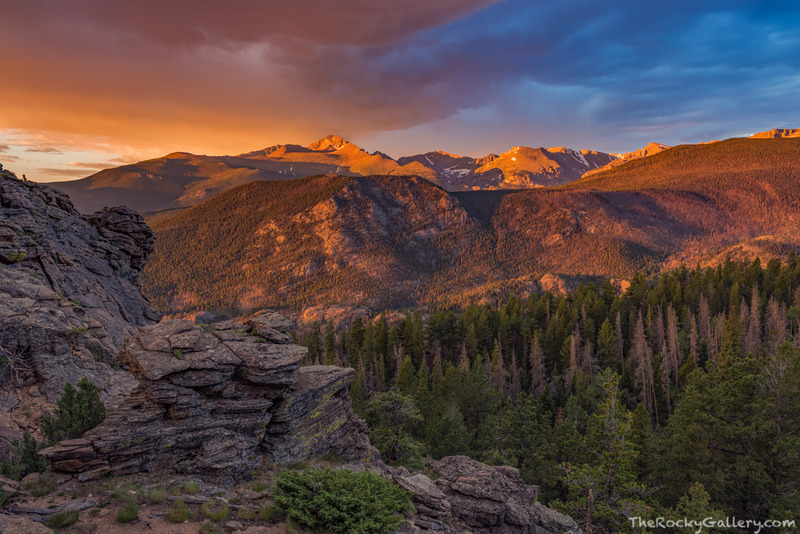 Intense orange and red percludes cloudy skies over RMNP. The color over Longs Peak lasted for about 10 minutes before the clouds shrouded the sun for the morning. Photo © copyright by Thomas Mangan.